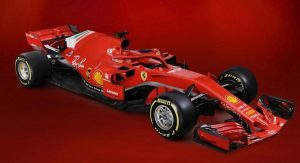 Shortly after Mercedes-AMG revealed its 2018 F1 racer, Ferrari has done the same, unveiling the SF71H in Maranello. 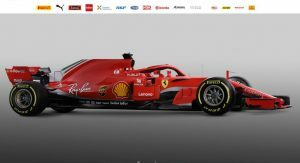 Beyond the obvious aerodynamic changes which adorn the new Ferrari F1 car, the brand has also extended the vehicle’s wheelbase, similar to what Mercedes employed so successfully throughout the 2017 championship season. 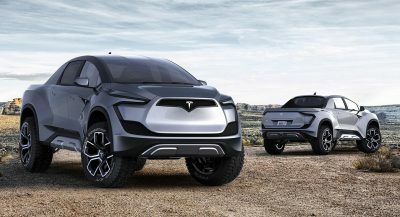 Other obvious design changes to the car include the lack of Santander branding and of course, the highly-controversial halo cockpit protection device. 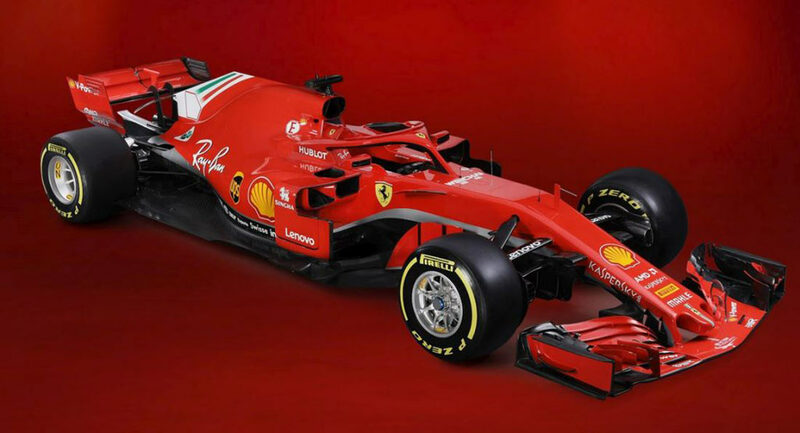 Unlike Mercedes, which has left its halo unpainted, Ferrari has tried to hide the ugly contraption by painting it red. 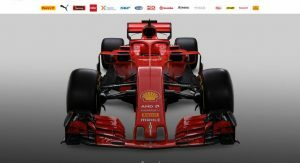 The halo has also been adorned with a small aerodynamic element, something neither Mercedes or Red Bull Racing have done. 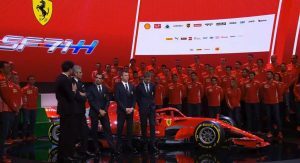 Speaking at the launch of the SF71H, Ferrari revealed that the car’s engine will be an evolution of last year’s design. Improving the powertrain’s reliability has been a key focus. 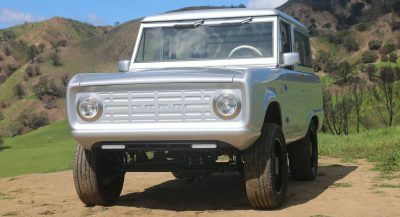 On a suspension front, the car continues to use push-rods at the front and pull-rods at the rear. 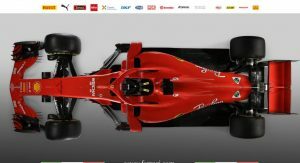 However, Ferrari says the design has been updated after the experience it gained using Pirelli’s wider tires last year. 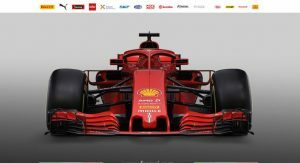 “The SF71H represents an evolution of last year’s car, which was already a good project,” said technical director Mattia Binotto. 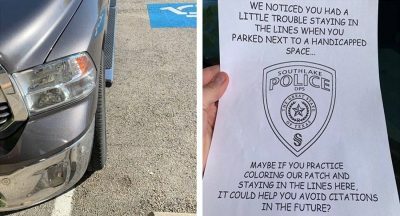 “We’ve tried to retain the strengths. Our strengths I would say first is aggressiveness in some of the concepts. 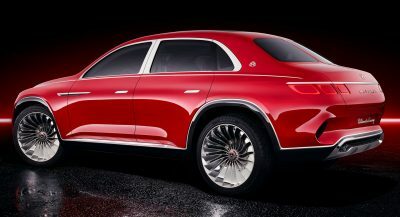 “We designed a car that was somehow performing very well on low speed circuits, but we knew we had to work on new areas of development. For example, trying to develop the car to be strong in performance on the high-speed circuits, but also on reliability,” he said. The car will have its first track outing during a filming day in Barcelona on February 25. Pre-season testing will then commence. 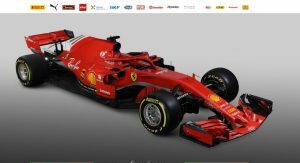 Question: why is Ferrari’s halo different to everyone elses? Is it me or the livery feels so 90s. When Ferrari F1 were all red and then pasted some sponsorship. Previous PostPrevious Is €113,000 Too Much For A Novitec-Tuned Ferrari F430?